We are going to be seeing colder air arriving tonight on gusty northwest winds. By morning temperatures in most areas will be in the 20s with teens in cold spots north and west of the coast. Monday as a warm front approaches and goes by to the north look for arriving clouds and temperatures that will be struggling back into the low and middle 30s. This is a fast moving system to the north that is relatively moisture starved at least as far as we are concerned. There will be more action upstate and across Northern New England from this. The NAM model late this afternoon is from Midnight tomorrow night to 8am Tuesday. It is clear from the NAM that the cold air will not be able to hold on long as this narrow band of precipitation moves through the area. The cold air will be more important well to the north across New England where it will be mostly snow as the weather system moves through. A second low follows with a cold front late Tuesday and this is likely to produce more snow in the areas to the north Tuesday night into Wednesday while in the areas from the Lower Hudson Valley southward into Southeastern and South Central Pennsylvania it will be mostly showers. Accumulations along the coast will be virtually nothing as by the time anything arrives it will be long after the upper atmosphere as well as the lower atmosphere as warmed up above freezing. Inland areas could see a coating to less than an inch of accumulation that will be gone rather quickly once it stops. Temperatures Monday night will likely hold in the upper 20s to mid 30s and than rise quickly above freezing before daybreak. 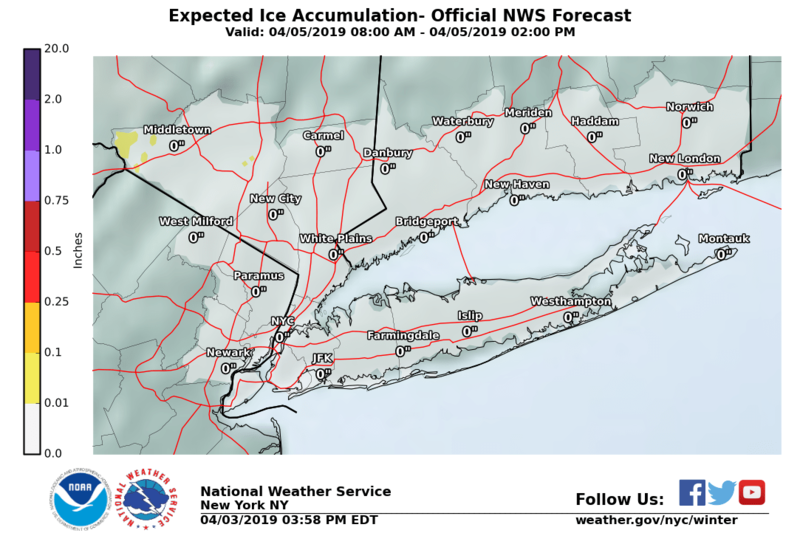 Sleet and some icing is possible while the precipitation is falling and therefore the National Weather Service is forecasting some scattered light icing inland especially in areas where cold air gets trapped in situations like this. For New Jersey the line between nothing and something looks to be Route 22 or well north and west of the NJ Turnpike. 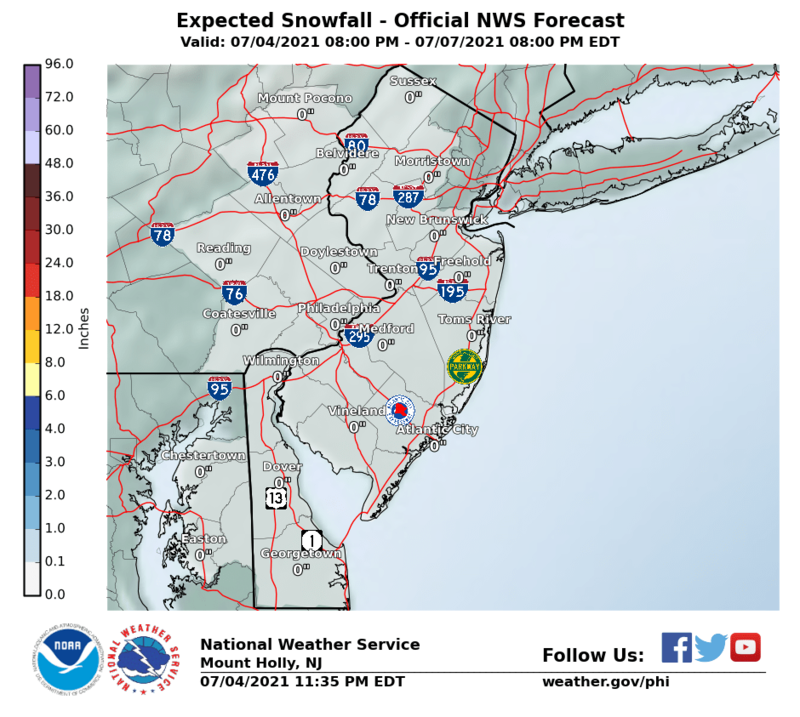 Snow amounts will be under an inch and the same holds for surrounding areas in Northeaster Pennsylvania from Route 78 northward. 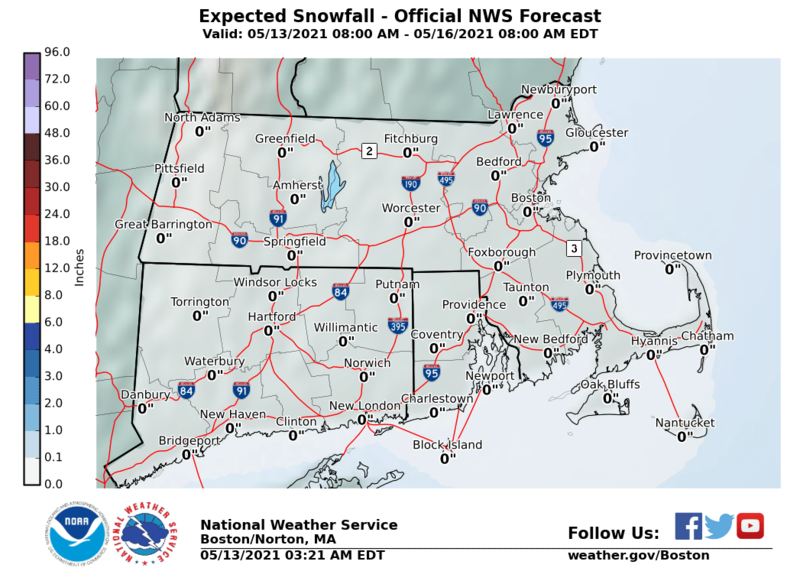 In Central New England we might see Winter Weather Advisories go up here at some point. 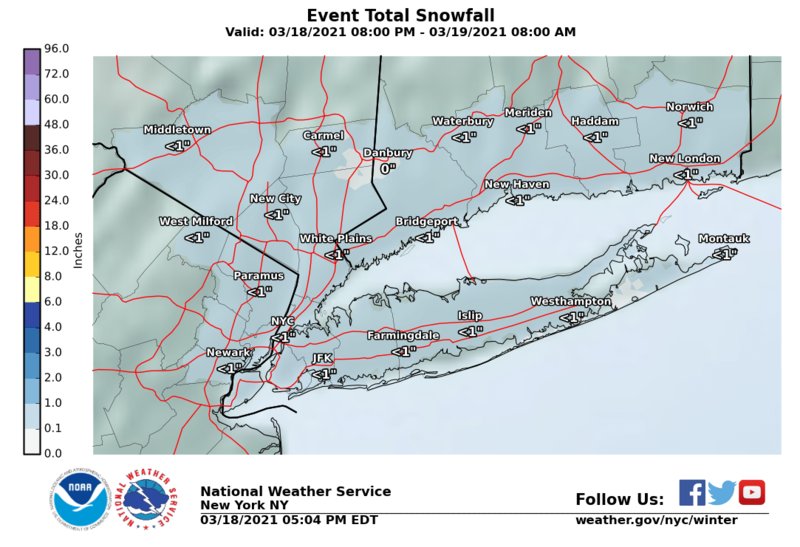 Route 84 will be the line between a coating to an inch to up to a few inches of accumulation. South of Route 84 to Route 15 a coating is possible before we get into some sleet and eventually a change to rain by daybreak. 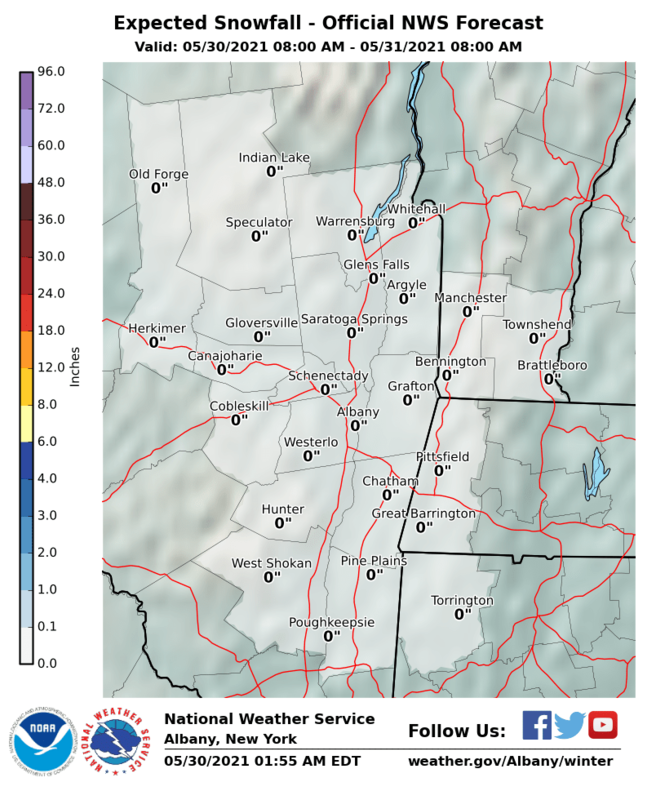 Upstate Northeastern NY could see a few inches as well as Vermont with the highest amounts as you head northeastward into Vermont. 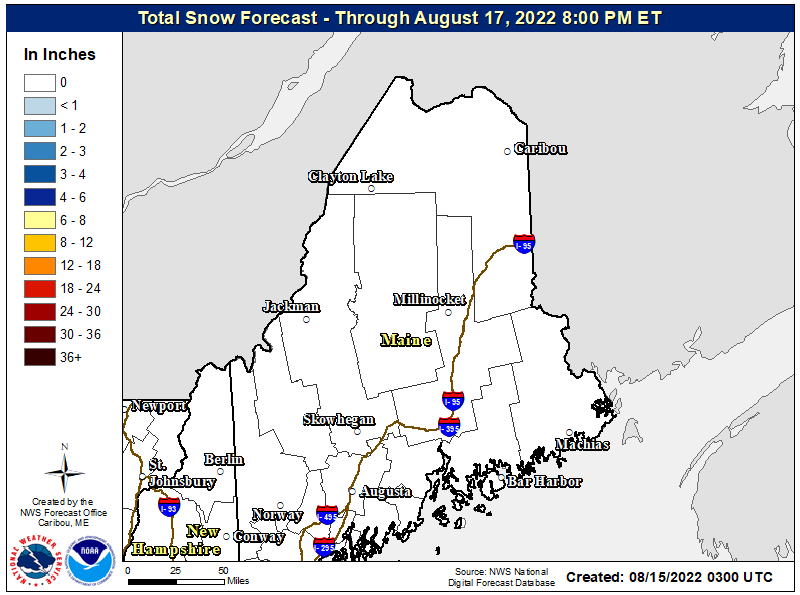 New Hampshire and Maine (of course Maine) could wind up with significant amounts as they will catch some of the intensification of the low as it moves east across Northern New England. For the Middle & Upper Hudson Valley amounts will also be higher once you get north of I-90 with 3 to 4 inch amounts likely espeically as you head north and northwest into the Adirondacks. Amounts lower to a couple of inches in Western Massachusetts and even less as you head southward toward Dutchess & Ulster Counties and into the Catskills.